When looking at the table, it can be deceiving when you see Milan in sixth and Fiorentina in ninth. First of all, Fiorentina have a game in hand thanks to an apocalyptic level hail storm when they went to Genoa. Also, where Milan have had some good luck, Fiorentina have had some bad luck. So on paper, Milan could be poised to win their third straight match. But matches aren’t played on paper. And we are going to their house, the Stadio Artemio Franchi. Just because Montella had his best luck there doesn’t mean he’ll still have it as a Rossonero coach. But most importantly, it depends on which Fiorentina shows up. Will it be the Viola team that defeated Roma last week? Or the team that were lucky to come from behind and steal a point from Udinese midweek? So much depends on if Fiorentina are successful in finding Fiorentina. 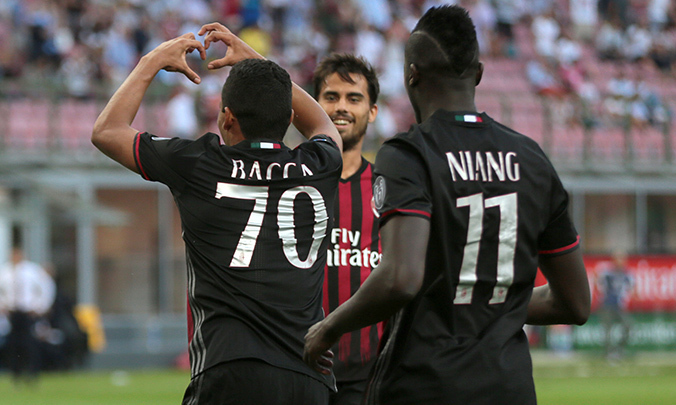 Milan's triple threat are coming to the Artemio Franchi. Will Fiorentina be ready? Sousa will say that the team are focused on the Milan match, but they have the added obligation of a European match midweek, too. And after a disappointing 0-0 draw with PAOK Salonik ten days ago, perhaps that should distract them. Or maybe they will just be tired. After their 2-2 draw away to Udinese midweek, they are hitting the grueling time of the year. For that match, Sousa lined up Tatarusanu; Rodriguez, De Maio, Tomovic, Badelj, Sanchez, Valero, Milic, Tello, Babacar, and Bernardeschi. Sousa will be missing Astori and Vecino to injury for our match. Milan had some good news, as Antonelli and Sosa both recovered from their injuries and returned to training this week. Still out are Mati Fernandez, Bertolacci, and Zapata. With two consecutive wins, expectations may be running high, but fans who can remember past this last week will know how our match with Udinese went, and the kinds of things that happened on and off the pitch, too. So no result should be a surprise. But it is impossible to shake the feeling that we are going into a match where our self-destruct button isn’t the only factor. 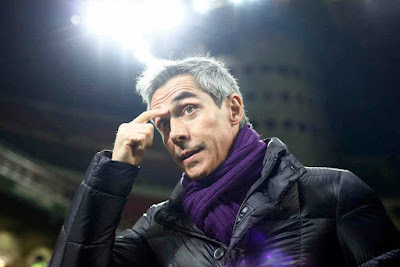 Fiorentina are often unpredictable, but with Sousa under fire and their mixed results, the result may finally have more to do with the opposition than our own shortcomings. But then again, we are also unpredictable and are pretty good at the self destruct thing. If we play well enough and Fiorentina don’t show up, though, we have a good chance of taking home a third consecutive win. However if the Fiorentina their fans know and love show up, we may not stand a chance. It’s all about finding Fiorentina.